The price per Rafale aircraft that the government agreed in 2016 with French company Dassault for 36 fighters is 40 per cent higher than what Dassault had offered in 2012, in a global tender for 126 medium multi-role combat aircraft (MMRCA). 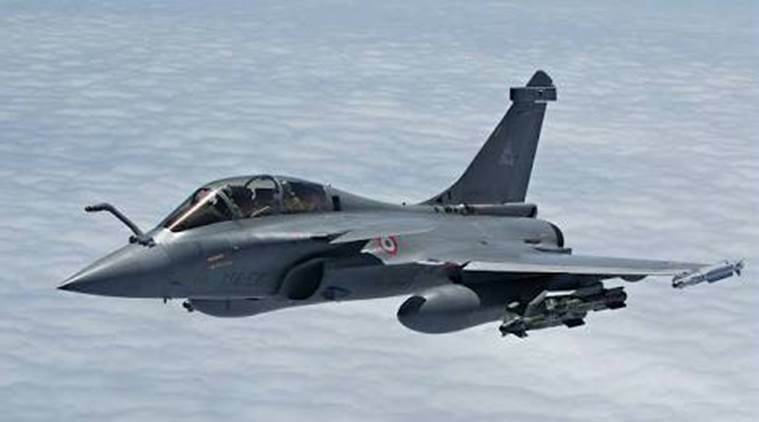 Two senior defence ministry officials who were directly involved in contract negotiations with Dassault from 2012 onwards, have revealed to Business Standard that Dassault’s winning bid amounted to Euro 19.5 billion for 126 Rafale fighters. The Euro 19.5 billion quote averaged out to Euro 155 million per aircraft. This included the cost of 126 fighters, technology transfer, indigenization, India-specific enhancements, weaponry, spares and maintenance guarantees. At an exchange rate of Rs 65:14 to the Euro on January 30, 2012, when Dassault was declared the lowest bidder, its price amounted to Rs 127,000 crore, averaging almost exactly Rs 1,000 crore per Rafale fighter, inclusive of all the above additional aspects. The MMRCA offer included 18 Rafales fully built in France, and 108 fighters to be built in India by Hindustan Aeronautics Ltd (HAL) from kits supplied by French vendors, Dassault, Thales and Snecma (renamed Safran Aircraft Engines in 2016). Even HAL’s labour costs were factored into this price. In comparison to that Euro 155 million average cost per Rafale, the the National Democratic Alliance (NDA) government’s September 2016 purchase of 36 Rafale fighters for Euro 7.8 billion works out to Euro 217 million per Rafale – exactly 40 per cent higher than Dassault’s 2012 quote. It is not clear how the NDA government – including Defence Minister Nirmala Sitharaman and Finance Minister Arun Jaitley, backed by senior IAF officials – has claimed that the 36-Rafale contract with Dassault in 2016 cost the IAF nine-20 per cent less than Dassault’s 126 Rafale offer. These officials have argued that the Euro 7.8 billion cost of 36 Rafales included add-ons like weaponry, spare parts and logistic guarantees. However, the IAF’s 2007 tender for the MMRCA – termed “Request for Proposals” (RFP) – which Business Standard has reviewed in detail includes all these enhancements in the 2012 price. The 2007 RFP stipulates that vendors must price in the “total cost of acquisition”. This includes the purchase cost of the “bare bones” aircraft, specified enhancements, weaponry, spares, maintenance and the cost of operating the aircraft for 40 years, including the cost of fuel, oil and lubricants. The 2007 RFP requires vendors to price seven specified aspects into their bids. These are: (a) Direct acquisition cost, or the cost of buying and building 126 Rafales along with weaponry (termed M1); (b) Cost of Total Technical Life (TTL) reserves, or the spares needed over the Rafale’s service life of 40 years (M2); Cost of reserves for ensuring availability of 75 per cent of the fleet at all times (M3); Cost of intermediate level periodic servicing (M4); Cost of depot level overhaul (M5); Operating cost of the fleet for 40 years (M6) and the cost of technology transfer for building the Rafale in India and for other technologies specified in the RFP (M7). Appendix F of the RFP mandates that the “total cost of acquisition” (M8), would be arrived at by adding all seven aspects above – i.e. M1 to M7. The vendor with the lowest “total cost of acquisition” would be declared L-1, and would be awarded the contract. In fact, the difference between the two bids is actually greater, because the 126 MMRCA bid involves building 108 fighters in India, which adds to the cost. In contrast, the 18 Rafales that were to be supplied in flyaway condition would cost significantly less. While the price Dassault quoted for the 18 fully built Rafales is not known, an estimate can be obtained from the pricing of the Sukhoi-30MKI. About five years ago, a Sukhoi-30MKI built in Russia would cost below Rs 300 crore, while the same aircraft built by HAL in Nashik would cost the IAF about Rs 450 crore – a 50 per cent mark-up for indigenisation. Stipulations in the 2007 RFP impose several additional requirements on the vendor. The 126 Rafale fighters were to comprise of six independent squadrons of 18 fighters each and 18 additional reserve aircraft to cater for losses. They were to be based in three main operating bases, each housing one squadron. Appendix F of the RfP specifies: “Each squadron would be required to operate two independent detachment of six aircraft for a period of 30 days at a time while continuing operations from the parent base.” The bid price is required to include the cost of spare parts, ground handling equipment and ground support equipment needed for these operations. Paragraph 45 of the RfP requires the vendor to “confirm his willingness to provide the aircraft for field evaluation in India on ‘No Cost No Commitment’ basis.” Eventually, the six vendors ended up spending in the region of $50 million each on fielding and marketing their aircraft. Even so, the government eventually cancelled the MMRCA tender and went in for a government-to-government purchase of 36 Rafale fighters on September 23, 2016. Now, the IAF is preparing a fresh RFP for 110 medium fighters, in which the same vendors are expected to participate. Bingo You have hit the nail on the head. Since you have the RFP you should also bring out how the IAF was quoting old MiL Stds of 1956 and 1965 to procure a 4.5 Generation aircraft. But there are talks that these aircraft are 3 times costly than UPA's tenders? But not 3 times higher? Is it possible, there is something in the NDA deal of "36 Rafale aircraft" that has remained hidden, and not disclosed. Otherwise, there is perhaps no rationale for paying 40% extra per aircraft. It's sad to know how our money is being robbed by other nations with our willful choice. Do we really need rafales, or we need hospitals, child care ..... n number of humanity causes to look after. We are naked holding a silver spoon. 1)Egypt-24 Rafale ordered in Feb 2015 for 5.2 billion Euros.Unit cost is 217 million Euros.Package includes weapons and training. 2)Qatar-24 Rafale ordered in april 2015 for 6.3 billion Euros.Unit cost 263 million euros.Package includes weapons and training. 3)India-36 Rafale ordered in September 2016 for 7.8 billion euros.Unit cost 217 million euros.Package includes weapons and training,India specific enhancements including integration of Israeli systems,performance based logistics and 50 percent offsets. Indian per unit cost of Rafale fighters should have been higher because of inflation,added enhancements and off sets, but its only at PAR with Egyptian and less than Qatars per unit cost.So where is the scam?Please dont try to taint a clean deal by taking advantage of complex numbers that lay persons find hard to understand.If the 2012 deal was soo good why pray wasnt it signed?Wasnt that anti national? If you dont know why the Rafale deal was not signed in 2012 and susequent negotiations dragged on interminably,it was because MOD was much wiser after being taken for a ride in the Scorpene deal wherein additional critical miscellaneous items had to be purchased from the French who had deliberately not priced them in the L1 bid.Once manufacturing started there was no way out but to purchase the items thereby inflating cost of the Scorpenes. "It appears that subsequent pricing by Dassault of these so-called miscellaneous but critical items -- like in the Scorpene tender -- in its deliberations with the MoD’s Cost Negotiation Committee, are responsible for significantly inflating the Rafale contract cost, jeopardising the vendors L1 status and delaying its closure." So the L1 status was itself in doubt as was the price quoted by Dassault because it did not include these 50 to 60 critical items.The only way out was a retender of MMRCA or a renogotiated deal.NDA chose the latter. Thank you Sir for your painstaking efforts in shedding light to this scandal. 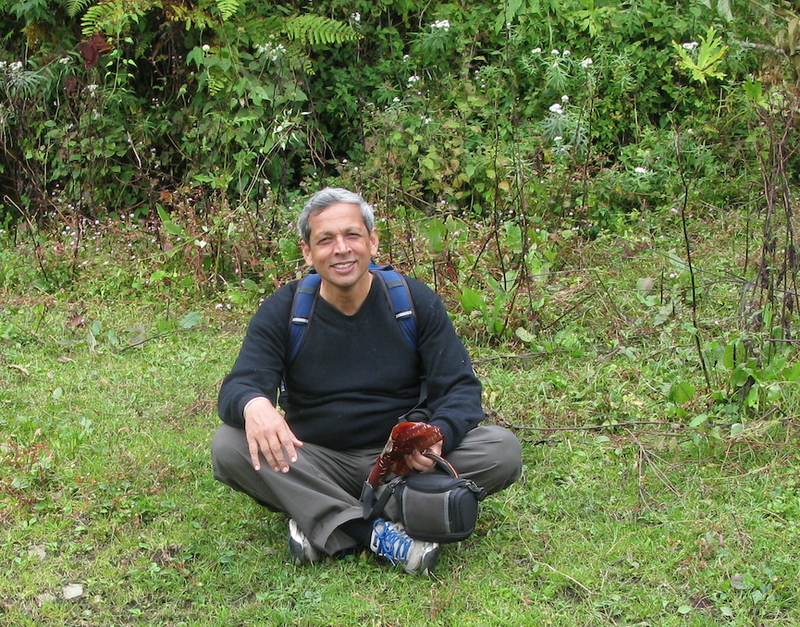 Ajai, thank you for your hard work in enlightening us on complex defense issue. IIRC, in an article some time ago you argued (correctly) that Dassault was adding the cost of R&D to its aircraft offer. That is normal, and somewhere I wrote a problem with Rafale was its very small production base, about one-tenth of - say - the F-35 (very roughly). So when India orders 36 aircraft instead of 126, there will be a whacking great increase in the pro-rata R&D charged to each aircraft. Next as you have also pointed out (correctly), weapons are subject to a high rate of inflation. So the 10-year delay will also have pushed up costs. An example is that the F-86 Sabre cost about $250,000 in early 1950s money (about $2.5M today), F-4 was $3-million in early 1960s money (about $24M today), while F-35 is $100M today. So both factors conspire to jump the Rafale cost. I havent worked out your point that 126 planes were going to be $50% more expensive due to India manufacture. The real problem - as you have also noted - is that GOI is spending 1.6% of GDP on defense, half what it spent 1963 through the 1990s. At that time, IIRC, I AF had 25 fighter squadrons. This suggests we cannot afford more than 20+ today. And we know in 1962 we spent 1.9% GDP on defense, and that turned out badly. How can value added services outstrip the cost of acquisition by 1000 crores. IF THE UPGRADES WERE NOT CARRIED OUT and we had purchased 126 RAFALES then in hindsight we could have done away with MIG 21/JAGUARS AND OTHER OBSOLETE SOVIET STUFF. Follow on order and software upgrades in 2025 were always possible. What now? What convulated reasoning will be given now. Or will it be just brazen in your face with lumpen screaming and trolling? and becoming mouthpieces of their political bosses. It doesn't behove the dignity of Generals and Air Marshals dancing to the tune of politicians.They must provide frank.candid,unadulterated advice/ opinion to the powers that be without any fear. Somehow lost faith in your reporting recently. No one in the world will sell less number for less price. Could the source Defence ministry officials also throw some light on why these expert negotiators could not sign the deal by 2014? They should have put more brains to complete the negotiations - which means do their job that time than this idiotic recollection. Bloody quota selected babus - nothing more than a bunch of donkeys masquerading as horses. Mr Congressi and Lockheed stooge, sinxe you have all the details, can you explain with a simple logic of yours why, even though the original price was 40% lower when the winner was declared in 2012, why hasnt a single Rafale has entered squadron servicd with IAF even in end 2018???? I mean the original RFP stipulated first delivery within 3 years right? Why should be believe your "sources"? Rubbish and baseless article. Shukla ji is a political analyst rather than a defence analyst. His connections to scamgress party are well known. A deal is when it's signed. Let shukla ji show us the 2012 ' deal'. Also please explain how HAL sells to IAF and at rates of cost plus while global tender prices are cheaper. What culture of procurement is this practiced for 50 years of Dynast governance? Rafale deal- until all details are out- cant conclude particularly on weaponisation details. This article is silent on that score. Very well said, I fully endorse your view. Very good article. It has brought out truth of the deal. Lot of politics seem to have worked in this deal. The earlier deal, a better and cheaper one, was flouted to gain political mileage and to help near and dear ones at the expense of tax payer's money. Let us see what happens after 2019. Yes true. But the Rafael we will be getting are heavily modified. They r of Rafael 2 versions. This creates new R&D costs, which distributed over 36 aircrafts become costly. Still, govt got it 9% cheaper. (becuz it's build by Dassault). Similarly, there r huge modifications in the weapons package which now includes Meteor missiles (operational 2016). Govt already provides Ambanis, Adanis with benefits. NDA wont sell the nation for them. Nice story to fool people ? !! Interesting argument ...could you dwell on it further .... apparently the current block F16 has reached its designed end stage ... So would the Rafael in a few years from now ... So what upgrades are we talking of?? I tend to agree with you !!! The Supreme Court, privy to all facts, has apparently ordered the arrest of all these actors ... Now can we wakeup to the daylight robbery that never took place !!! The interesting part is there was no real deal !!! Only a truly concieved designed & made in India product can be competitive ... Else all that may get off set is the Labour Cost and with lower skill levels and none availability of the required Jigs etc the nett cost will be decidedly higher that's the case with all Automobiles too !! !